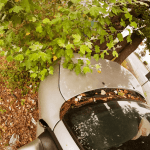 Product Liability – Are Tree Harnesses Safe? Are You Using A Tree Harness? Snap-hook and V-rings are parts used in tree harnesses commonly purchased by hunters to obtain optimal hunting shots from way up high in a tree. Product liability issues may arise when these parts are defective and dangerous. Some falls may be minor, moderate or may even result in a wrongful death. On Friday, July 3rd, 2015, the collapse of an external stairway at the The Legends at Willow Creek apartment complex in Folsom killed a 27-year-old man. The deadly Folsom Stairway collapse happened without warning between the second and third floor at around 2:40 pm as two men were descending the stairs. One man made it safely to the bottom, but the second man was not so lucky. The entire staircase collapsed and landed on top of him. The man was severely injured and died at the scene. The complex was built in 1999 and acquired by its present owners in 2007. Sadly. this was not the first incident involving a defective stairway at the complex. A previous collapse happened at a different building about a year ago. Fortunately, no one was injured in that Folsom apartment staircase incident. 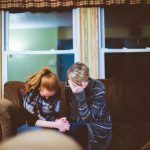 An important factor in any personal injury claim is proving “liability” — showing who caused an injury and how that happened. In some types of claims, proving liability is fairly straightforward. For example, if a motorist is stopped at a red light and is injured when hit from behind by another driver, it’s relatively obvious who caused the injury and how they did it. In other situations, however, this can be much more challenging. 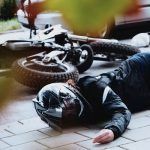 Slip-and-fall and trip-and-fall injury claims are often much more difficult situations in which to prove liability and show how a “defective condition” of some sort caused the incident. 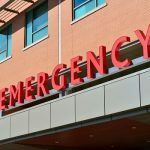 One difficulty is in understanding how and why the injured person ended up in a situation where the defect caused him or her to slip or trip. This is where the element of human factors in personal injury claims becomes very important. A common news event that occurs more and more frequently is the occurrence of injury and maiming at sporting events and music concerts. Trampling deaths are also more frequent than before. We are not talking about injury from the occasional baseball that may randomly strikes someone but rather those injuries and deaths that occur as a result of negligence. In 2014, this was bought to the forefront as the media covered multiple deaths, injuries and overdoses that occurred at the Miami, Florida Ultra Fest Concert. 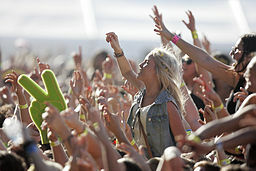 Un-ticketed concert goers stormed the flimsy portable fencing that had been put up around the venue for crowd control. The fence fell on a security guard resulting in severe brain hemorrhaging. The security guard was in critical condition for several days. The security guard also sustained severe maiming to one of her legs.